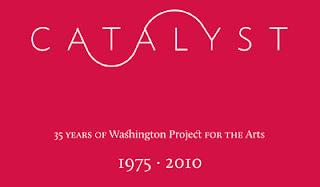 Catalyst is a dynamic, narrative recollection of WPA's legacy, showcasing selected artists, exhibitions, programs, and events from its 35-year history. Featuring works by over 100 artists, the exhibition celebrates the catalytic power of the WPA and the artists who benefited from the organization's support and encouragement. 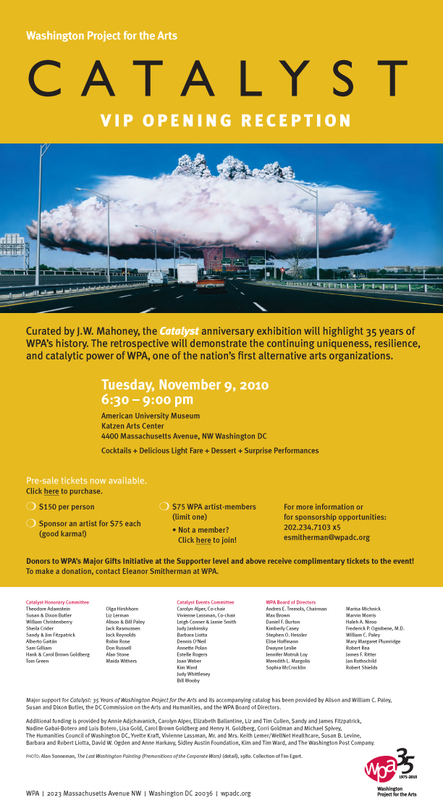 Curated by J. W. Mahoney, Catalyst includes recent and period artworks, documentation in both still and moving media and a series of related performances and public programs. The exhibition is accompanied by a 100-page, fully illustrated color catalogue. With an introduction by American University Museum Director and Curator Jack Rasmussen, the catalogue features essays by exhibition curator J.W. 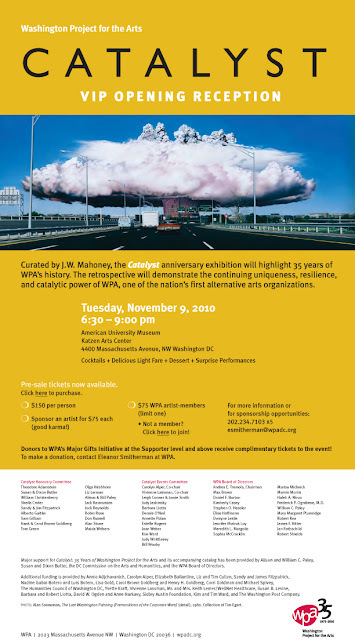 Mahoney, former WPA Executive Director Jock Reynolds, and former Bookworks Manager Robin Moore; an illustrated timeline of selected moments in WPA's history; and an illustrated exhibition checklist. The catalogue is available for the price of $35 through the WPA website and will be available at the American University Museum bookstore after the opening of the exhibition . 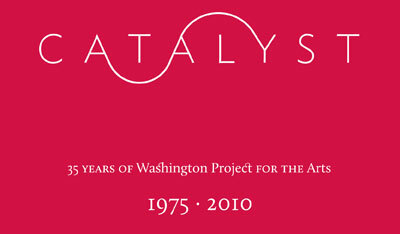 The exhibition website, www.wpadc.org/catalyst, includes a timeline of events and exhibitions, images from the past 35 years, and a growing archive of stories from artists, curators and arts supporters about their involvement with WPA. Visit the submission page to send in your own story about the WPA or to submit photos to the archives.